After the blissful Summer-y sunniness of ‘Room On The Third Floor‘, the slightly darker tones and cinematic quality of ‘Wonderland‘ came as a welcome shock to the system. I say welcome, as I too was going through the motions of teenage angst and whilst my friends drifted towards heavier punk rock or metal I turned to ‘Don’t Know Why‘ and ‘She Falls Asleep‘. Cycling through Wonderland is a nostalgia trip. ‘Too Close For Comfort‘ was the first song I ever learnt on guitar, I still remember angst listening to ‘I’ll Be Ok‘ after a fight with my parents (and then years later with the feeling of elation and pride the first time I saw them live), I’d spend weekends rewatching the Wonderland live DVD over and over again. Wonderland was my true first foray into an album that could shape you inside out for the better and how powerful music could be. I needed revision music…bad. After years of drifting away from albums (like the rest of the world I was becoming more attuned to single releases rather than a full set of songs), all of the songs on my iTunes were either from the ‘Glee’ soundtracks (holla! ), or too sing-a-long-able to concentrate to. I found Lykke Li by way of Sia. I wanted ambiance to stifle the silence of going over accounting coursework and business system models, I ended up with an album that became the travelling soundtrack to my commutes to and from University for the next two years. ‘Youth Novels‘ came out in 2008, but as always I was late to the game in discovery Li’s soothing voice. In times of stress ‘Dance, Dance, Dance‘ cured many a migraine, in conversations trying to impress people she was a my go-to cool indie artist (instead of Taylor Swift or the Jonas Brothers), I ended up having to stop listening to her music revising because I ended up humming along too often. Youth Novels wasn’t life changing, but neither was that period in my life. It was stable. It bumbled along. It felt good. 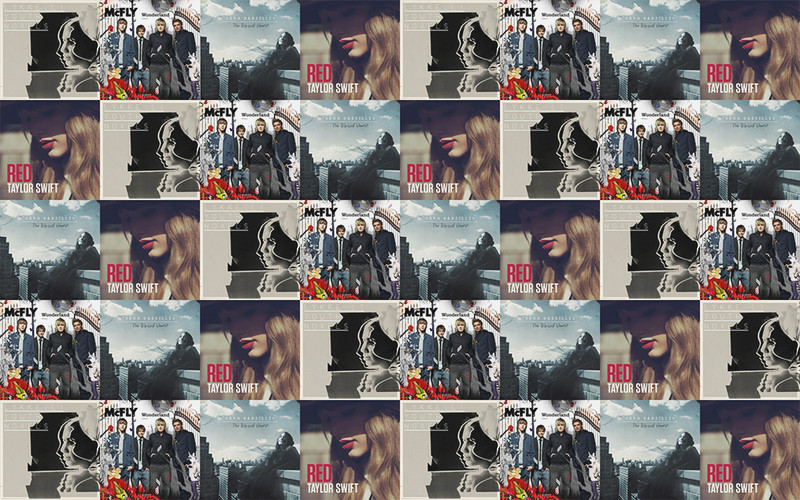 People talk about ‘which Taylor era you are’ and for me it’s ‘Red‘. ‘1989‘ may have been the album that stitched me back together and lifted me up, but ‘Red‘ was perfectly imperfect, raging with every emotion and captured every essence of ‘me’ in my early Twenties. Nothing set my heart alight as much as the nostalgic romance of ‘The Lucky One‘. Nothing was more fun that dancing wildly to ‘22‘ on nights out. Nothing felt as frantic as listening to ‘Holy Ground‘ over and over again until the words lost their meaning. Nothing hurt as much as crying along to ‘All Too Well‘ in my bed nursing heartbreak. Nothing felt as good as euphorically screaming the lyrics to ‘We Are Never Getting Back together‘ at the O2 with my best friend. ‘Red‘ was Taylor at an heightened sense of self discovery and experimentation. I too was at a crossroads of still figuring it out after thinking I had held myself together so well, but as soon as the album starts my mind beats along to the drum beat of ‘State of Grace‘ and I can loose myself to the music. Bareilles’ music has always had an ongoing presence in my life through teenage angst, growing up and moving on but her voice and her lyrics now hold an ever increasing importance to me in my mid-twenties especially in the past 5 or so months. ‘The Blessed Unrest‘ came out in 2013 but I hadn’t downloaded the full album (bar ‘Brave‘ and ‘Manhattan‘) and listened through till January this year. Coming back to the album was a wake up call. I shared many of the same sentiments Sara had on New York, on falling in love and fighting against love, on self-confidence and my place in the world. I’d dipped into the hopelessness of ‘Satellite Call‘ and ‘December‘, reminisced on missed chances in ‘Manhattan‘, and have psyched myself up to ‘Little Black Dress‘ more times than I can count in the past month alone. Despite the ‘everyman’ feel of many of Sara’s songs, she feels very much like a woman who writes for women and perfectly encapsulates every detail and emotion I feel ‘being’ a woman right now. So this those are my albums, let me know in the comments which albums were oh so important to you at various points in your life.